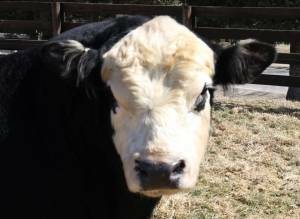 Black Eyed Baldy bull-throws 75% baldies/brockles. 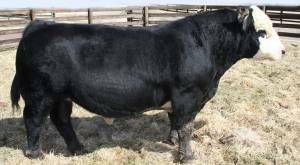 Named bull calf champion at L'vlle. DOUBLE CLEAN & polled. 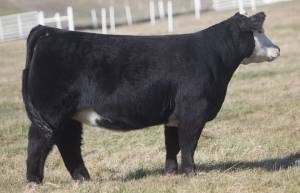 I sold as a calf to small eastern herd and repurchased in 2015. At 6 years old he looks 3 with PERFECT large and never trimmed feet. 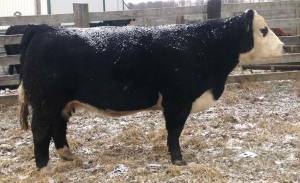 Unpromoted yet limited use produced $30K steer, $40K top selling bred 2014 First Class Sale for Brad Smith, donor for Scott Jorgenson and top 2014 replacement prospects at Reimann’s. Use on dirty, flat-made, plus sized cows.